It is estimated that one in four people seek professional support for a mental health problem and therefore there is high demand for psychological therapies and interventions. This programme is aimed at those who wish to develop careers in psychological therapy or mental health by building on your knowledge, practical skills, experience and confidence when applying for highly competitive roles such as Assistant Psychologist or Clinical Psychology Research Assistant. 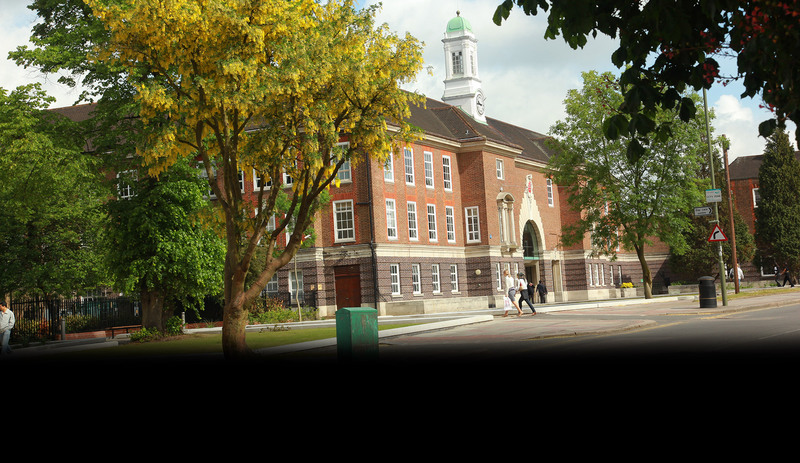 Why study Psychological Therapies and Interventions MSc / PGDip at Middlesex University? This programme will provide you with the academic, practical and research skills you need to continue onto further professional training in clinical psychology, counselling psychology, psychotherapy, clinical research, and health management. You will be introduced to a range of approaches to psychological therapy and intervention and will be supported to develop a range of therapeutic communication and intervention skills both in workshops and through work experience. As part of the Masters programme, you will also acquire the knowledge and skills required to critically assess research in therapeutic psychology and to undertake research in a topic that is relevant to psychological therapies or interventions. You will be taught by staff who are therapy practitioners and researchers in mental health, psychological wellbeing and trauma. Please note that this programme does not lead to a therapy practitioner qualification. What will you study on Psychological Therapies and Interventions MSc / PGDip? During the course, you will focus on developing in-depth knowledge, understanding, skills and experience for progressing to, or within, therapy related careers, including clinical psychology, counselling psychology, psychotherapy, clinical research, and health management. You will also explore the key approaches to, and practice in, psychological therapy and interventions as well as understanding lifespan trauma experience and its impacts on psychological disorder; how it is assessed and identified, and experienced cross-culturally. You will gain a range of therapeutic communication, motivational interviewing and cognitive behavioural intervention skills and a reflective approach to the development of these skills. You will also have developed the knowledge and skills required to critically assess research in therapeutic psychology and be able to undertake novel research in an area relating to psychological therapies or interventions. This module will introduce the main schools of psychological therapy, their theoretical origins and demonstrate how the theory is applied in practice. You will also be introduced to the basic principles of communication skills that form the foundation of all counselling and therapy. In this module, you will develop a critical understanding of current research evidence and perspectives on psychological trauma and its effects. You will review the impact of trauma on different groups and at different stages of the lifespan and critically examine the models of intervention for psychological trauma. You will also explore the current debates around ameliorating factors and developmental outcomes. This module extends your undergraduate knowledge of research methods, design and statistics and prepares you for your dissertation and forthcoming supervised practice. It will enable you to choose appropriate methodologies and analyses for research. This module will provide you with the professional practice knowledge and practical skills relevant to therapeutic applications of psychology and experience in an organisation that is concerned with mental health and/or well-being. You will spend a minimum of 140 hours in a placement of your choosing and will develop your ability to apply psychological knowledge and/or therapeutic communication skills in a workplace context. This module is ideal for those who are currently employed in an organisation that is concerned with mental health and/or well-being. The module will provide you with the professional practice knowledge and practical skills relevant to professional development within your job role and the therapeutic applications of psychology. You will conduct a work-based project in order to develop your ability to apply psychological knowledge and/or therapeutic communication skills in a workplace context. This module will give you the opportunity for an in-depth, advanced study in a specific area of applied psychology. You will apply appropriate principles of empirical research, and present your research study in the form of a written journal article, using appropriate styles and conventions. The aim of this module is to provide postgraduate students with research skills and expertise from theory to implementation required by areas in Applied Psychology. The module is designed to fulfil training requirements identified in the National Occupational Standards for Applied Psychologists (Key roles 2 and 3) by offering a comprehensive in-depth and systematic account of a range of skills in quantitative and qualitative research strategies, and the use of SPSS software in statistical analysis as applicable to the course syllabus. A variety of teaching methods and assessment will be employed with the aim of inspiring and challenging each student, whilst promoting independent learning and a critical appreciation of the research process. Students will engage in laboratory classes, workshops, lectures/seminars, tutorials, group work and practical sessions on SPSS and qualitative data analysis. Ultimately the aim is to train students to develop, implement and maintain personal and professional standards and ethical research practice in Applied Psychology. How is the Psychological Therapies and Interventions MSc / PGDip taught? You are taught through through interactive lectures and participative workshops which encourages discussion and debate as well as critical thinking and a deep approach to learning. Skills and the ability to apply theory to practice are also developed through work experience and/or implementation of work-based projects. Assessment includes case study reports, research reports, a reflective diary, critical essays, reflective essays or a work-based project report, and the applied research dissertation. You will be required to attend an individual and group interview. How can the Psychological Therapies and Interventions MSc / PGDip support your career? Upon graduation, you could go on to work in the areas of mental health, psychological and social wellbeing, overseas development work, and clinical research. You could also pursue a career in clinical psychology such as psychotherapy and counselling trainings. Or you could choose to continue your academic studies and undertake a PhD in psychology. We also aim to attract professionals working with deprived client groups; in the field of interventions, treatments and social policy, and this qualification will enhance their career path. Dr Westley designs psychological interventions to help people to build emotional resilience, and to improve focus and creativity. He has published research on a range of topics including creativity, imagery, memory and psychological wellbeing. Professor Bifulco has spent her career investigating trauma at different life-stages and intergenerationally. She is well published and has worked internationally with health and social care agencies undertaking vulnerability assessments and evaluating interventions. Dr Starr works with young people, children and families in clinical practice. She is integrative in her clinical approach and draws on evidence-based CBT, systemic and psychodynamic approaches to psychological distress.